ADAM Audio is pleased to announce the appointment of Christian Hellinger to the position of managing director. In his new role, Hellinger will oversee global sales, distribution, marketing, R&D, post-sales support and service, product management, and strategy for ADAM Audio worldwide. Hellinger will be based in ADAM Audio’s headquarters in Berlin. A natural entrepreneur, Christian Hellinger was founder and CEO of Yellow Tools, a leader in the development, production, and distribution of sampling libraries, virtual instruments, and audio software. The company designed and developed its own instrument libraries that are in use all over the world, as well as custom sound libraries for a number of leading global software companies. With the desire to extend the company’s products to beginners–the musicians of the future–Yellow Tools was acquired by MAGIX AG under Hellinger’s direction. At MAGIX AG, Hellinger served as both VP of audio, handling multimedia applications for consumers, broadcast audio software, and product development, and then as international sales and business development director for the EMEA region, focusing on software, video, photo, web design, and music production. 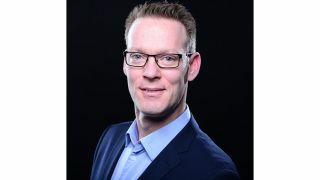 Christian Hellinger will jointly cooperate with managing director Sven Schmöle, who oversees finance, business operations, manufacturing, logistics, and supply chain for the company.